Blending Brushes are firm bristled brushes designed to create soft blends for backgrounds. Use to easily apply Distress Ink and Distress Oxide directly to surface or apply through stencils for shaded effects. 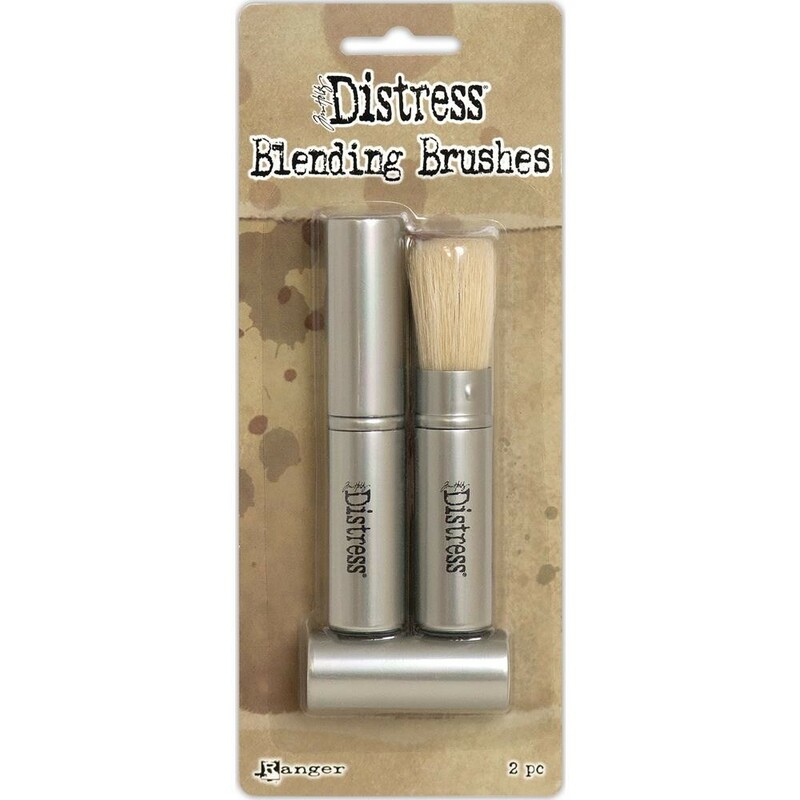 Distress Blending Brushes are made with natural fibers and the compact retractable design is also ideal for convenient storing in the Mini Distress Ink Storage Tin. This package contains two 4x.75 inch blending brushes with caps.